The world is quiet here: 17. 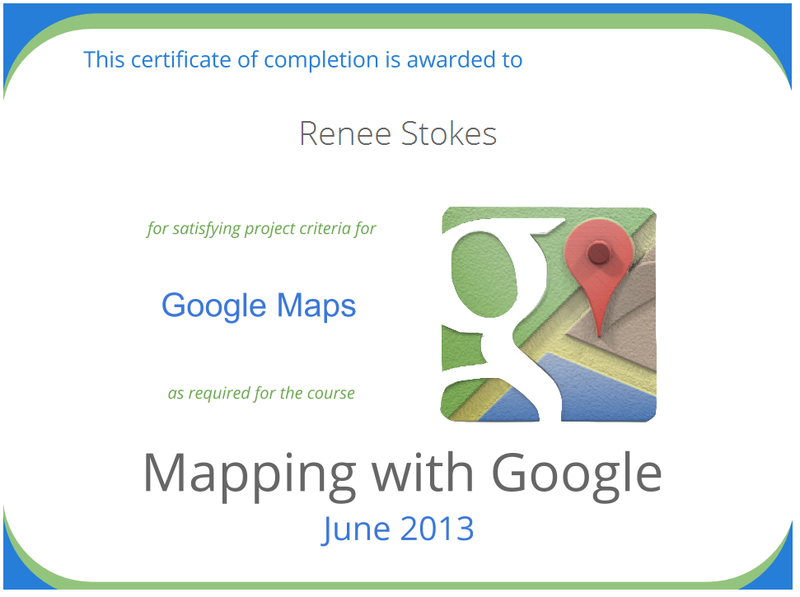 Mapping MOOC completed! 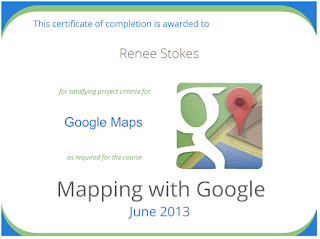 I loved doing this Google mapping MOOC. It was frustrating at times, but I learnt a lot. The final project was to create a custom map using many of the techniques learnt over the course. My result is below, also viewable here. It's pretty basic, but the important thing for me was learning the techniques, and this project helped me with that. The third unit of the course was the most interesting for me. We learnt how to create a custom map and share it, how to add layers that you can turn on and off and how to customise the appearance of the pins. Perhaps the most interesting thing though was how to import data sets in CSV format and add them to a custom map. Our practice project was to find a data set of world heritage ﻿sites for our country and import the data so that a map with all those points would be automatically generated. I had a look around to see if I could find any library-related data sets in CSV format to play with, but didn't have any luck with it. But now that I have the skills, I'm going to keep making custom maps and thinking of different ways to use them. I hope more open data geographical sets in CSV format become available in the future! Please comment if you have ideas of where to find them.